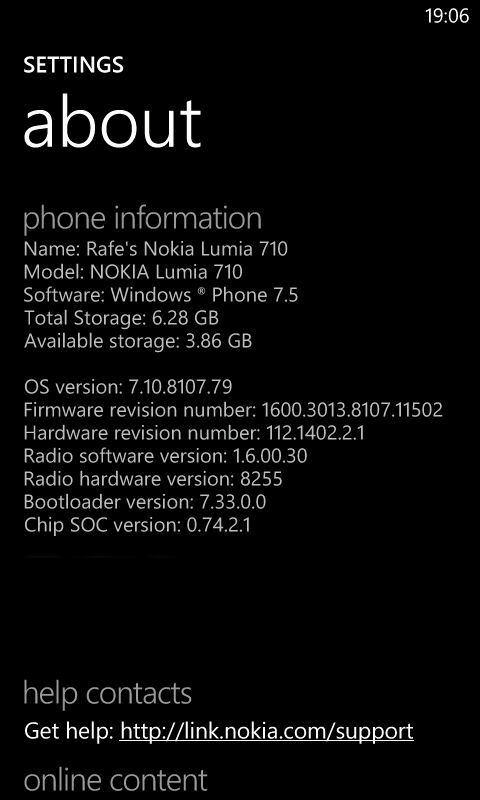 A firmware update for the Nokia Lumia 710, version 1600.3015.8107.12070, has now commenced its global roll out. The update improves audio quality when using the phone's loudspeaker, enhances calling to service numbers and includes fixes for a number of issues related to text messaging (international characters, long messages). The update has previsouly been available in India and Singapore, but is now more widely available (e.g. UK, France, Malayasia). As with other firmware updates the full roll out takes place over a number of weeks. The staggered roll out is partly due to mandatory operator testing and approval, but also because the updates must go though Zune (Windows PC) or Windows Phone 7 Connector (Mac) for which Nokia is reliant upon Microsoft. For those who have not already receieved it, the update also includes the Windows Phone update 8107, which provides a fix for the disappearing keyboard issue and a number of other minor bugs (Gmail Sync, Exchange 2003 email threads, location permissions and voicemail). 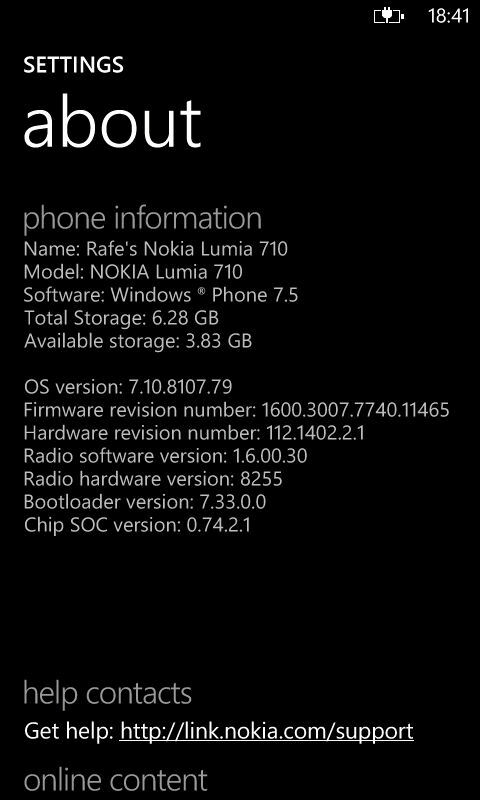 In most cases users will updating from firmware revision number 1600.3007.7740.11465 to 1600.3013.8107.11502, as shown below.